Chevy, more precisely referred to as Chevrolet, is a GM brand that has existed in the United States since 1911. Competing alongside Ford, Chevy has distinguished itself with a lot of fantastic cars throughout its long history. Chevrolet is synonomous with the muscle cars of the 1960's and 1970's and was very popular in the 1950's as well. 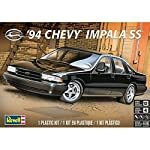 Chevy has had some wonderful cars that are favorites among model builders. 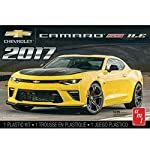 Camaro and Chevelle are the most popular kits, but the 57' Chevy and the Bel Air are as well.